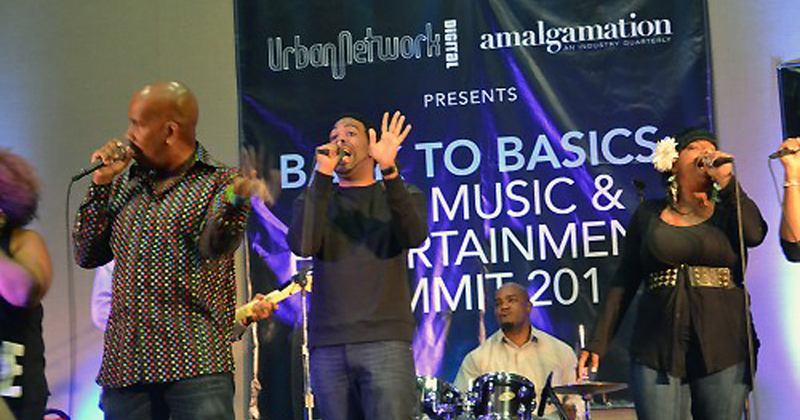 The weather wasn’t the only thing that was noticeably hotter on May 1st, 2014; Men 4 Christ heated up the stage at the “Ultimate Gospel Celebration” for the kickoff day at the Back to Basics: The Music and Entertainment Summit. The Four Points by Sheraton’s Pavilion was teaming with artists and aspiring artists from all over the world to network and perform with their peers. Brent Jones brought his unique brand of gospel to the Back to Basics: The Music and Entertainment Summit. No one could deny the anointing he and the band had during the evening concert with some of the top names in music on the billing for the ultimate networking event of the year. Other artists rounding out the night included Jessica Reedy who sang her signature slow, intense style that captures her audiences; Eddie Baltrip and Fulfillment captivated everyone with high octane vocals; other artists, Brandon Camphor & One Way, Stephen B. Steward, Chris Bolton, Pro-Vision and Brandon Patrick added to their special anointing to the night.